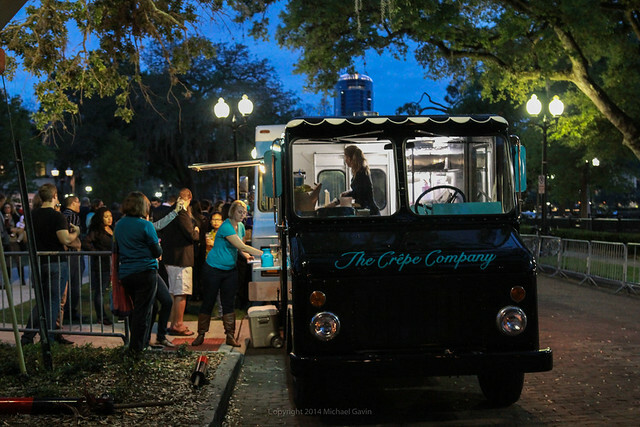 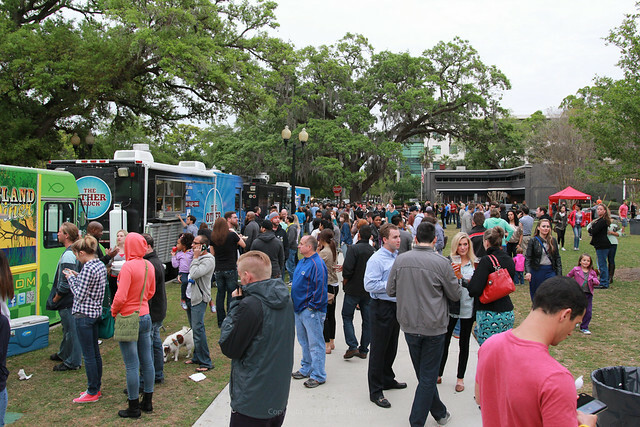 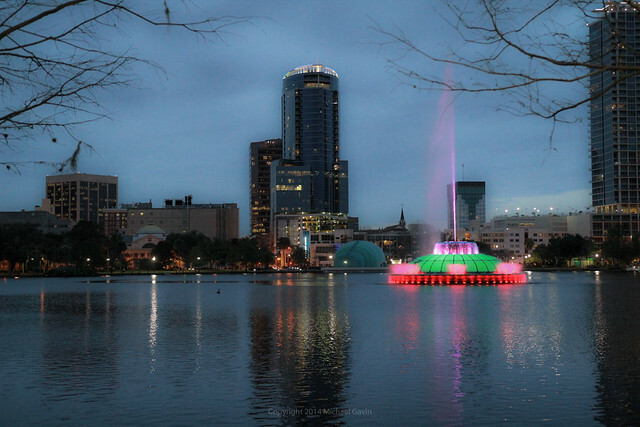 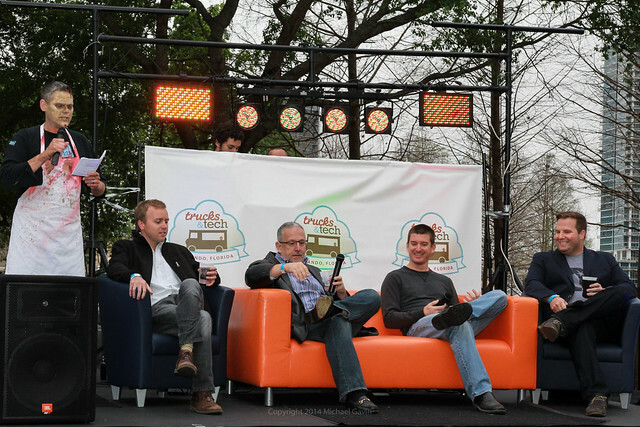 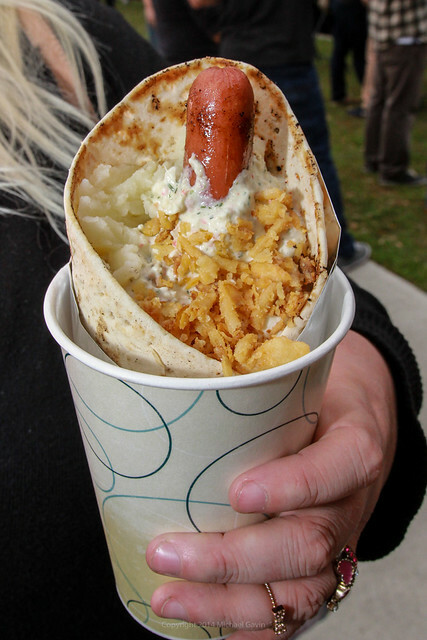 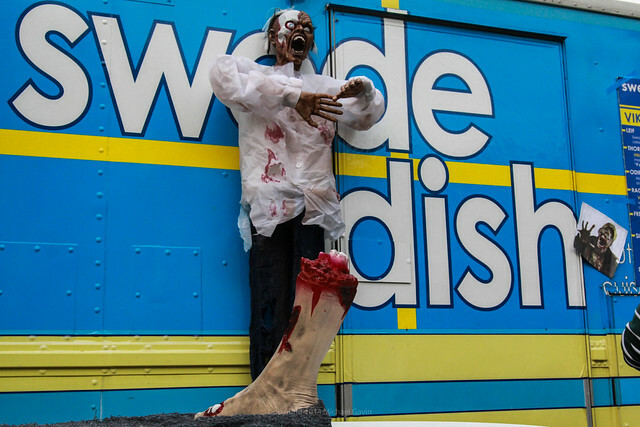 The free-to-attend event was held at Lake Eola Park in downtown Orlando, featuring food trucks serving up pastrami, Swedish dishes, New Orleans cuisine, and other treats alongside a stage set for tech conversations and startup demos. 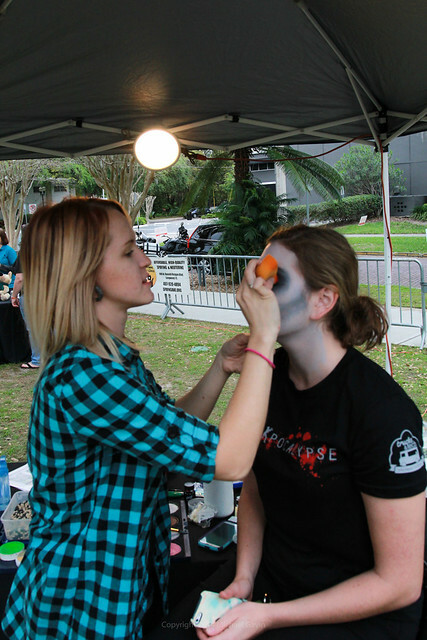 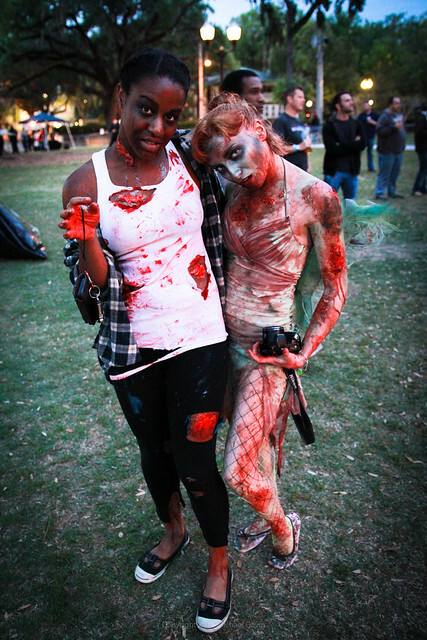 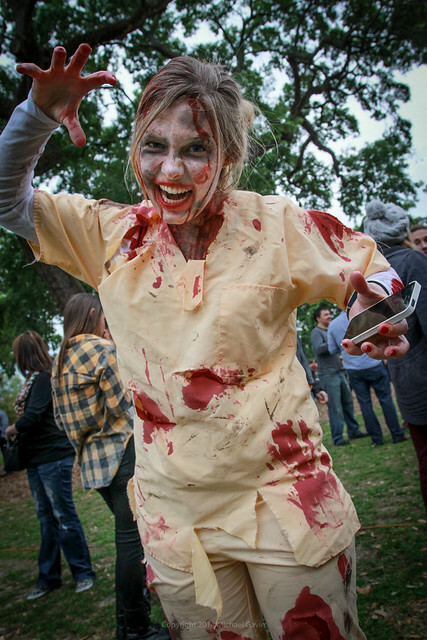 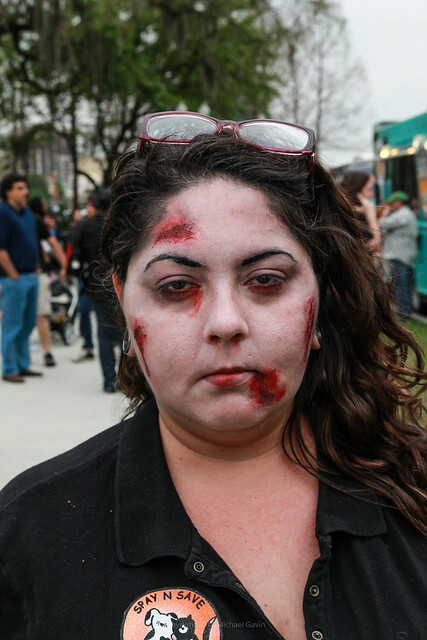 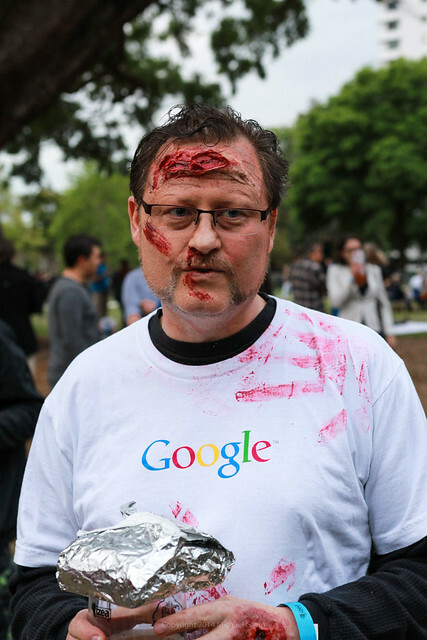 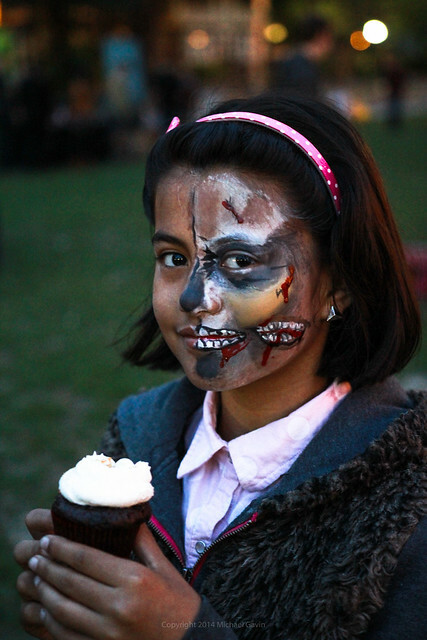 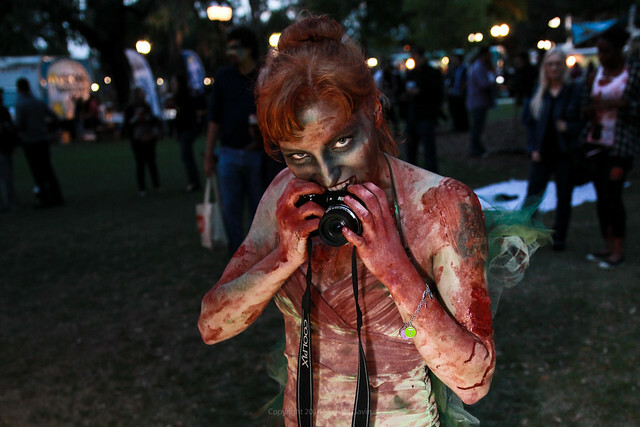 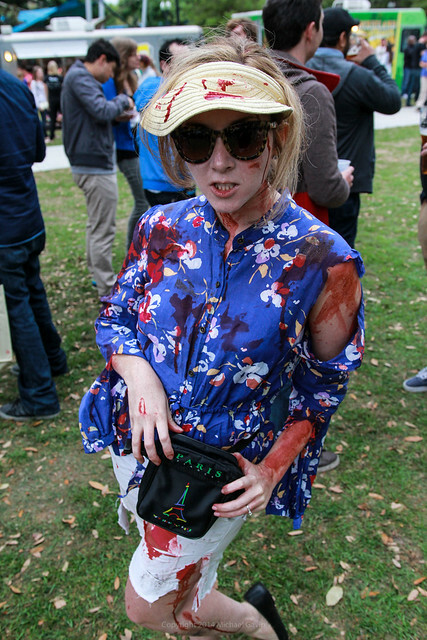 And then (after applying some makeup) the zombies rolled in, kept in check by a few zombie hunters. 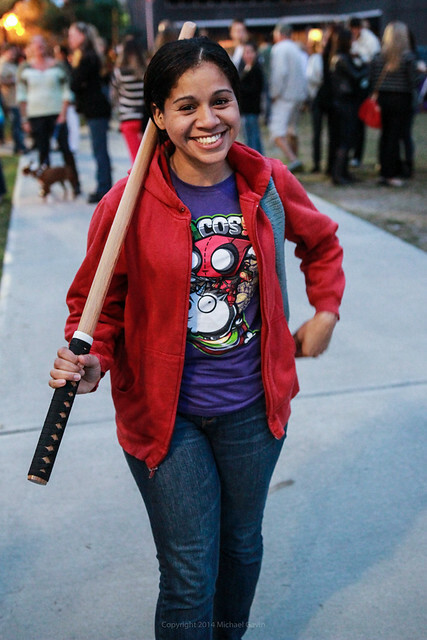 Our photographer Michael Gavin was there to capture the somewhat subdued invasion.